Web Shop Manager is a comprehensive solution for Home & Furniture eCommerce stores, interior designers, home accessory stores, kitchen & bath showrooms, and garden center websites. This powerful web software combined with a talented team of website designers with the expertise to bring your vision to life is guaranteed to catapult your Furniture eCommerce website to the next level. WSM has a variety of different features that are a perfect fit for a home accessory and furniture online store. Your users will be able to see zoomed in views of furniture products online, while you will have complete control of which categories furniture products are assigned to. You can even assign items to multiple categories using our eCommerce platform, giving your customers the most intuitive online furniture shopping experience on the market! The global or unique Product Option feature allows you to specify what exactly is available, and what size/color or different customization options are available. This lets users easily put together their ideal furniture collection. As if all of this won’t already make your Furniture eCommerce website the best and easiest to use, our LIVE chat feature connects you with your online customers like you wouldn’t believe. If any questions or issues may arise that would typically cause the shopper to click back and find another site, the sale may be saved by the chat function! Offering customer service on par with what is found at a brick and mortar store is an exciting and simple way to increase conversions. Furniture - Gallery Dealer Product Management » Gallery Dealer Management allows you to organize your inventory so each item has your own internal ID as well as your Vendor's or Dealer's ID. Furniture - Powerful Administration Interface » Powerful Admin Interface allows you to add items faster. We have galleries with 50,000 items! Furniture - CMS - Blog/Gallery/Links/FAQ » Easy to use and comprehensive Content Management System (CMS) including a Photo Gallery, Event Calendar, News Blog, Interactive Surveys, Resource Links, Frequently Asked Questions..
Furniture - Live Quickbooks Integration » Keep Quickbooks synchronized with your website in real time with your website using our advanced QBWC Quickbooks Web Connector live order sync module. 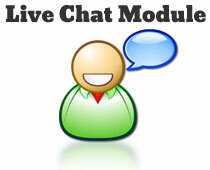 Furniture - FREE Live Chat Software! » Get higher conversion rates & increased order values with customers who engage in our Live Chat software. Using suggestive up sell & cross sell techniques you can boost sales and satisfaction. Furniture - * Search Engine Optimized * » We automatically generate your sitemap every night. We also optimize every single page with the content you give us to maximize the opportunities we have with the Google. 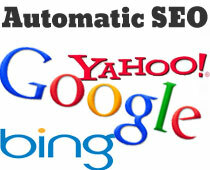 There are literally hundreds of Automatic Built-In SEO features. Are you trying to find success in the Home & Furniture eCommerce industry? Or maybe you’re in the Interior Design field, or own a Kitchen & Bath Showroom. Either way, your e-business can benefit from Web Shop Manager; our one stop Home Accessory eCommerce solution. WSM includes all the features you need for your online furniture store, and the Web Development Team will work with you to develop new and exciting eCommerce features to help increase sales both online, and offline. Our fanatical customer service is our top priority, and you will not be able to find a better eCommerce Web Design company to suit your needs. 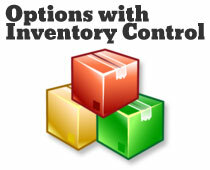 Powerful Admin Interface allows you to add furniture items faster - we have stores with 50,000 items! 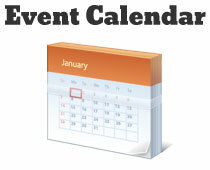 Advanced Photo Gallery allows you to take images from your digital camera and presents them on your website. With this software you can create photo slide shows to improve your homepage or furniture eCommerce online portfolio page with little to no training! Furniture eCommerce & Home Web Design to make sure your website visually appeals to your visitors. With over 10 years of experience in the eCommerce web design business, we know a thing or two about taking our clients vision, and translating it into a gorgeous extension of their in-store experience. In many cases a website is a customer's first impression of your business. When first impressions matter most, turn to WSM for your furniture eCommerce solution. Finding a Furniture eCommerce Web Design, Website Development, and Web Hosting Provider can be a daunting task. By choosing WSM as your web service provider you will eliminate the headaches and allow us to become your partner in Furniture & Home Accessory eCommerce success. Having every aspect handled under one roof will simplify your life so that you can get back to growing your online furniture business. WSM, the ultimate Home & Furniture eCommerce Solution is finally here! Contact WSM today to learn more about our comprehensive eCommerce product offering. For more info on eCommerce Furniture Web Design or eCommerce Furniture Web Development Request a Quotation.